There are increasing pressures on not-for-profit boards to implement effective governance practices. The growth in the sector and the increase in financial, cybersecurity, and other risk factors have fuelled pressures on not-for-profits to be more accountable to its members, donors and other stakeholders. Poor governance can lead to costly or embarrassing outcomes, and individual directors and officers may face legal consequences from any failure to exercise the requisite standard of care. The system or framework of rules and standards by which a company is—or companies generally—are managed, controlled, and held accountable esp. as regards the integrity, transparency, and responsibility achieved by management and, more specifically, the board. Governance is ultimately the board’s job. Effective governance requires that boards stay in their lanes—they must understand the difference between governance and operations, so that they are not meddlesome or toxic, and to ensure that they exercise the requisite standard of care. Providing oversight of legal, financial and other risks—this does not mean that the board undertakes daily responsibilities in these areas—see “6” below. Managing itself and its policies and procedures, to ensure that it functions effectively. Ensure that each board member actively participates in the discussions during board meetings. Board chairs may need to nudge members who rarely participate (or deftly manage those who dominate the discussions). One approach is to ask persons who rarely speak up, if they have any comments, questions, or anything to add. Asking if they would like to endorse anything someone else has said, is one way to avoid putting people on the spot if they do not have anything new or original to add to a particular discussion. In summary, the board must understand its accountability for good governance and develop and implement policies, procedures and systems to discharge its obligations. Read more about strategies to help you introduce effective governance practices or improve the ones you have, in Chapter 2 – Governance, in Not-for-Profit PolicyPro. 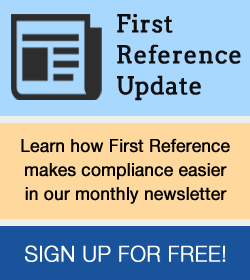 Policies and procedures are essential to good governance and internal controls, but the work required to create and maintain them can seem daunting. Not-for-Profit PolicyPro, co-published by First Reference and Chartered Professional Accountants Canada (CPA Canada) contain sample policies, procedures and other documents, plus authoritative commentary in the area of not-for-profit management, to save you time and effort in establishing and updating your internal controls and policies. Not a subscriber? 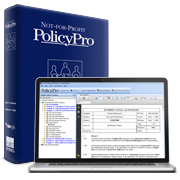 Request a free 30–day trial of Not-for-Profit PolicyPro here.